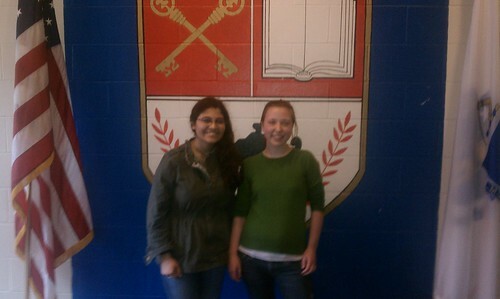 BHS received notice this week that Jessica Villalta and Sabrina Pedersen were awarded the Giuseppe Garibaldi prize for their "150 Anni di Cultura Italiana" Project. The judges noted - "We truly enjoyed viewing and evaluating this entry and determined that is was the entry that was most powerful and creative." The award which includes a check for $1,000 will be presented at the Festa della Repubblica ceremonies to be held on Sunday, May 29, 2011 at Christopher Columbus Park in Boston. Congratulations to Jessica and to Sabrina!! What an honor!! We're all very proud of you both! !